-Japan: Wanted to control the Coral Sea. -America: Intercepted Japan's plans. Manned the Allied force's planes. -Britain: (same reason as America). Manned the Allied force's ships. -Rear Admiral Frank J. Fletcher commanded the Allied air force. -Vice Admiral Takagi Takao led Japanese forces. 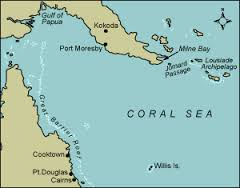 -Japan's goal was to control the Coral Sea by invading Port Moresby in southeast New Guinea. 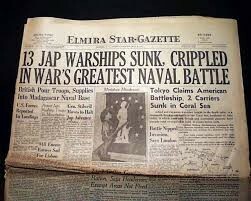 -The Allies' goal was to stop Japan, so the nation wouldn't have control of the Coral Sea. -Japan had lots of ships, so they decided to split them up into widely spread out groups. 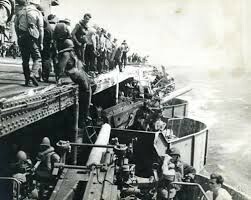 -When the Allied forces got word of Japan's plan, they assembled in the Coral Sea and waited for the Japanese. If Japan had won this battle, they would have been able to capture New Guinea and possibly Australia. 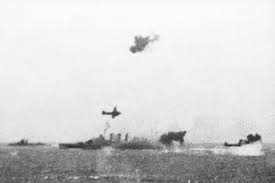 But thankfully, the battle resulted in an Allied victory when Japan didn't have enough ships and planes left to finish the invasion on Port Moresby and retreated. The Battle of the Coral Sea greatly impacted the Battle of Midway, a key battle that happened a month later. 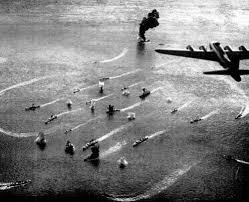 The Battle of Midway was impacted in the favor of the Allies, because they had reduced Japanese forces. The Battle of the Coral Sea was the first air-sea battle ever!